WorkSpace.ae Office Furniture in Dubai is pleased to announce the opening of its office in Emarat Atrium, Dubai. Dubai, United Arab Emirates, September 02, 2018 --(PR.com)-- WorkSpace.ae Office Furniture in Dubai is pleased to announce the opening of its new office in Emarat Atrium, Dubai UAE. WorkSpace.ae will continue to offer the same friendly service at the new showroom address on Office #145 Emarat Atrium Bldg Sheikh Zayed Road, with an even larger selection of products and services. The new office location is right beside the Gulf News. WorkSpace.ae was founded by Heidar Jouyaeian as an e-commerce platform to enable users to customize their office furniture by providing the option to choose the size, color, dimension, tabletop finish and material of the products. The wide verity of products can be either purchased online or added to an online quotation instantly (E-Quotation). WorkSpace.ae's goal is to revolutionize the way companies order their customized office furniture. WorkSpace.ae providing one stop shop solution for office furniture such as Chairs, Desks, Workstations, Storage, Flooring and other accessories. 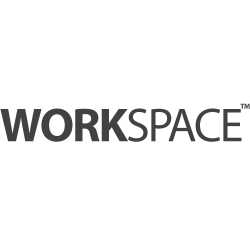 WorkSpace.ae becomes pioneer in supplying modern office furniture in UAE due to its user friendly website.